Russian charter airline IFly has taken delivery of an additional Airbus A330-200 wide-body aircraft, the seventh of the type in its 10-strong fleet. The 16-years vintage GE CF6-80-powered aircraft, with tail number EI-GEW, which is believed to be on lease from CDB Aviation, arrived at the airline’s Vnukovo, Moscow airport base, from Mexico on August 4, according to data obtained from a public tracking service. IFly’s commercial department manager Maxim Matveyev has confirmed to Russian Aviation Insider’s sister publication ATO.ru that the latest delivery is in line with the airline’s fleet expansion plans, and has been leased for a nine-year term. Moscow-based leisure carrier operates a fleet made up primarily of Airbus aircraft. Apart from the seven A330s, it also operates two A319 narrow-bodies, both of which joined the fleet in May of this year, and a Boeing 757 -200, which was the predominant type in the fleet before it opted for the Europe-made airliners. The airline, which expects the delivery of another A330 and an A319 before the end of this year, aims to double its traffic in 2018 to nearly 1.5 million passengers from last year’s 746,000. In 2017 IFly entered the list of Russia’s top-20 airlines, having increased its operational results by 84.3 per cent. No data is currently available for the first half of this year. The carrier operates to Mediterranean and south-east Asian leisure destinations, as well as transatlantic routes to Cuba and the Dominican Republic. IFly is controlled by Alexander Burtin who also runs the large travel company Tez Tour. 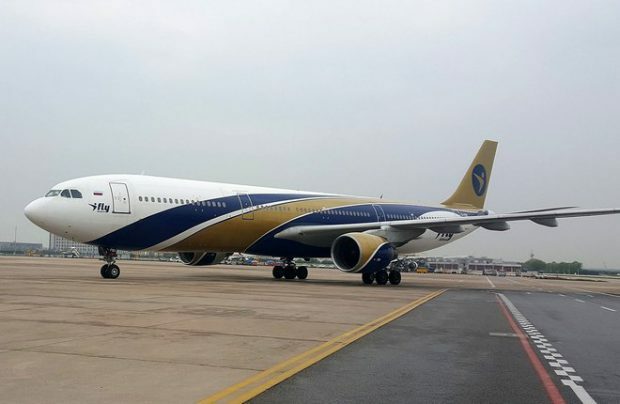 A nine per cent share of the airline was acquired in the spring of this year by Silk Way, which is owned by Hong Kong-based Joy Tour Global Limited.